6500 - 13000 r.p.m. r.p.m. Smart and stylish design made from polished stainless steel has been created to achieve exceptional durability, simple control and easy cleaning. Thanks to its modern design, the JE 4010 is not only a reliable machine but also looks good in your kitchen. The extra large 84 mm feed chute is 25 % larger than other juice extractors and enables you to insert whole fruit or vegetables without cutting. Using the electronic speed regulator and LCD display, you can easily select the most suitable programme to extract up to 95 % of healthy juices from the hardest fruit or vegetable. Thanks to quick absorption of minerals and vitamins into your blood, juices are the most suitable way to provide your body with necessary vitamins, minerals and enzymes. 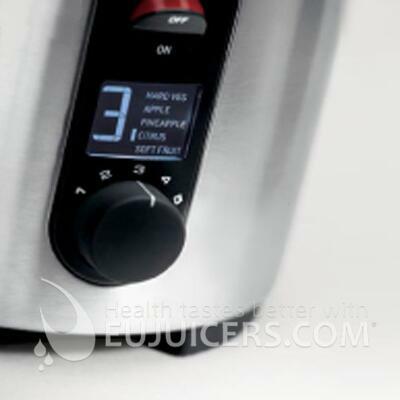 The JE 4010 makes preparing juice quick and easy so that you can have a glass full of healthy and refreshing juice every day. 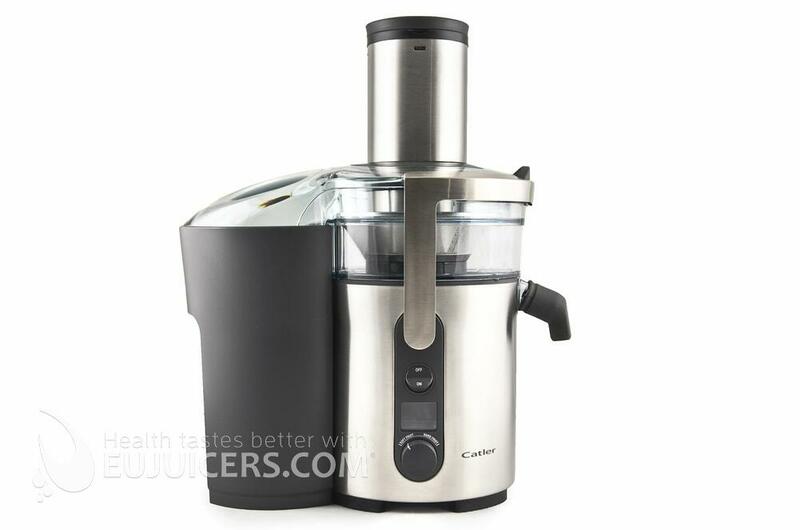 This juicer is the best "classical" centrifugal juicer. 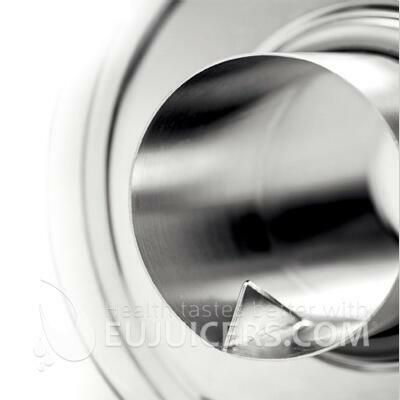 Juice prepared with high RPM juicers has more foam and deterioriates quickly. Make sure to drink the juice right after it is made when using juicers like this. 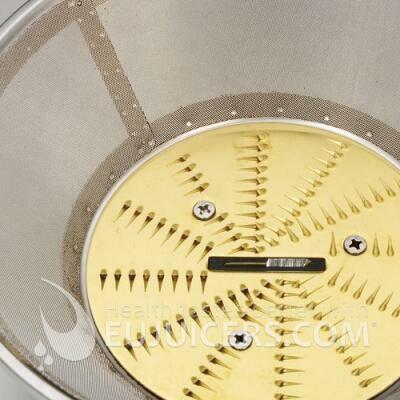 The biggest advantages of this juicer are the microsieve basket, strong motor base, and extra large 84mm feeding tube. Screen for Catler JE4010/JE4011 juicer. Juice collector for Catler JE4010/JE4011 juicer. Juice collector case for Catler JE4010/JE4011 juicer. Juice container for Catler JE4010/JE4011 juicer. Pusher for Catler JE4010/JE4011 juicer. Pulp container for Catler JE4010/JE4011 juicer. Cleaning brush for Catler JE4010/JE4011 juicer. Rubber beak for Catler JE4010/JE4011 juicer. The true multi-talent like the Magimix Le Duo XL but now with smoothie function!